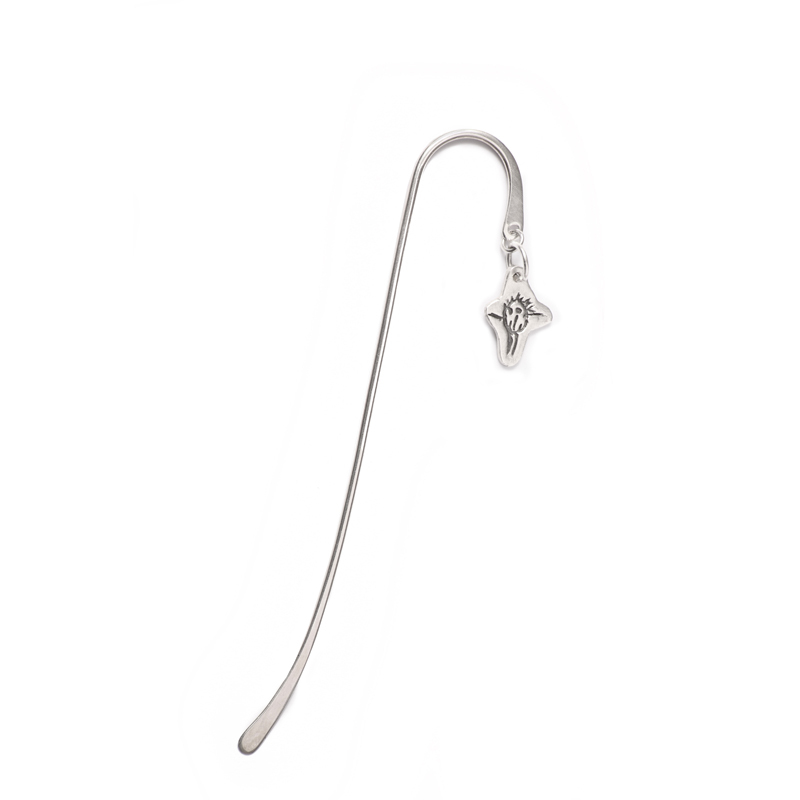 Bookmarks are perfect for non-jewellery wearers, perhaps as a Christening present or a present for a grandmother. Or do matching bookmarks for a wedding/anniversary gift. As with all products, there is a choice of shapes for Charms for Bookmarks – circle, oval, heart a (symmetrical), heart b (asymmetrical), square, diamond, rectangle, tear drop, dog tag and flower. All finished on a sterling silver bookmark measuring approx. 12cm/5” tall. All Bookmarks are the same size. The Charms are soldered to the Bookmarks for security and have the option of Drawing/Writing, Drawing/Writing and X, Drawing/Writing and Name. Please note small charms do to fit names and are only suitable for children under 12 months as these are approx. size of 5p coin. For Standard, Medium and Large - please enter name to be inscribed in the inscription box – up to 10 characters so you can have just a name if choosing a long name ‘Charlotte’ or for shorter/abbreviated names you can add a space and a kiss ‘Lottie X’.